Can you believe there are TURTLENECKS upwards of $2,000? 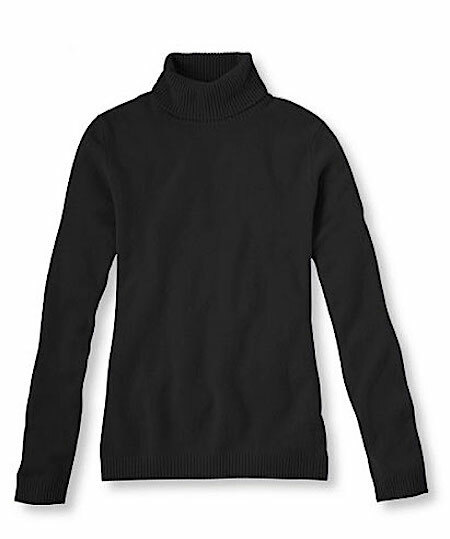 It’s such a classic that can be worn from work to weekend that everyone should have at least one black turtleneck in their closet, but $2000 is expensive, even for a classic. Lucky for us, L L BEAN designed a cashmere version at just the right price in several colors. Classy with a pleated skirt. Absolutely! A chic combo that’s always classy.